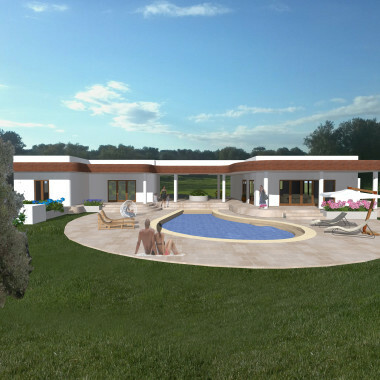 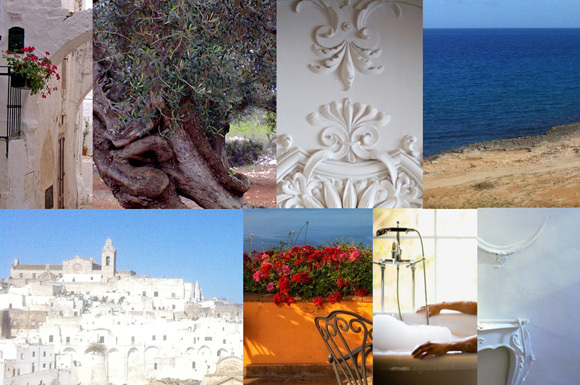 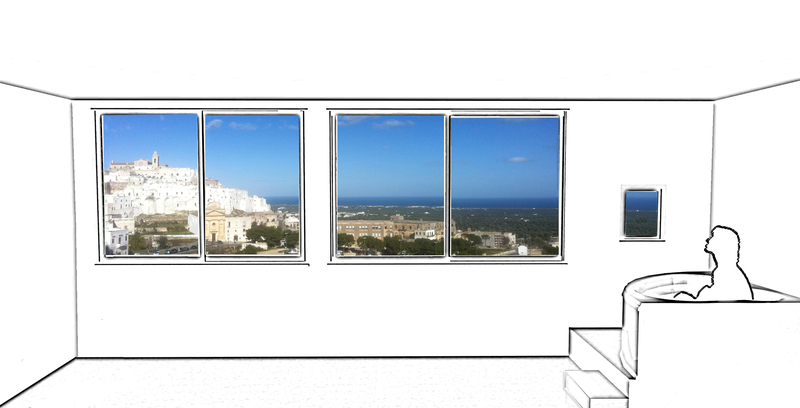 Ostuni, 2012-, under construction The apartment is located in a crucial position in Ostuni. 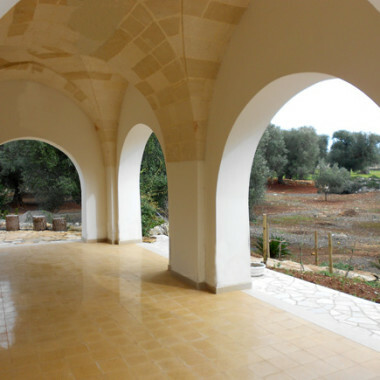 The core of this flat is a big window facing the old town centre, giving a stunning view of the old city and the underlying valley full of centuries-old olive trees, little white houses and the blue sea in the background. 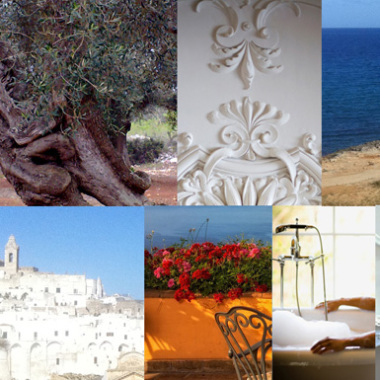 In the renovation project we decided to use the same materials and colors visible from the window, that is the white of old houses, the green of centuries-old olive trees, the blue of the sea and the reddish-brown of the land.